Astronomers using Hubble Space Telescope took advantage of a rare opportunity to record Saturn when its rings were edge-on, resulting in a unique movie featuring the nearly symmetrical light show at both of the giant planet's poles. It takes Saturn almost thirty years to orbit the Sun, with the opportunity to image both of its poles occurring only twice during that time. The light shows, called aurorae, are produced when electrically charged particles race along the planet's magnetic field and into the upper atmosphere where they excite atmospheric gases, causing them to glow. Saturn's aurorae resemble the same phenomena that take place at the Earth's poles. 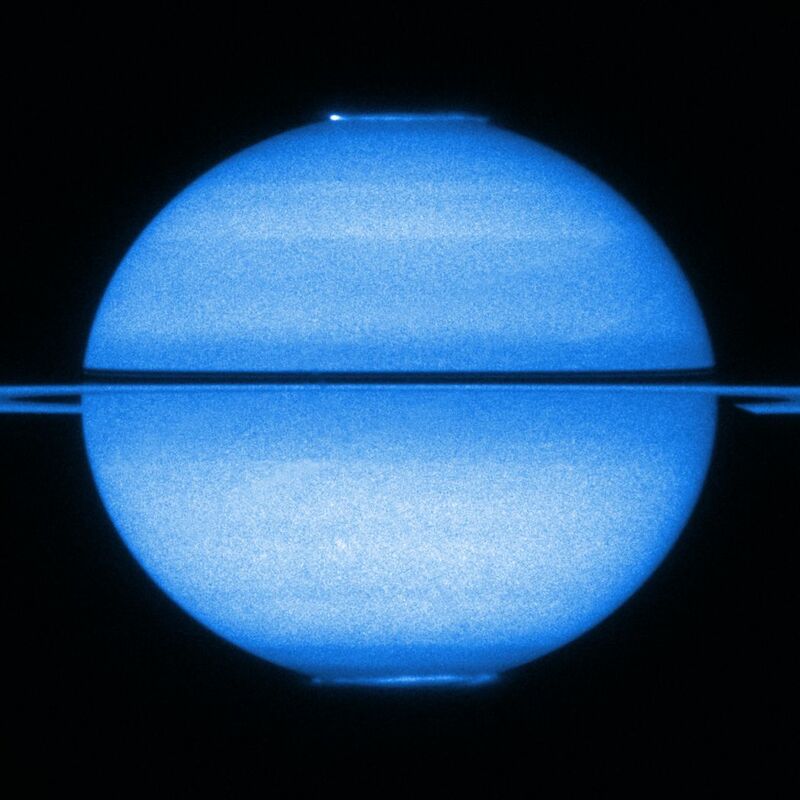 Hubble Advanced Camera for Surveys observations have allowed astronomers to monitor the behavior of Saturn's poles in the same shot over a sustained period of time and to analyze the planet's northern and southern lights simultaneously. The northern auroral oval appears to be slightly smaller and more intense than the southern one, implying that Saturn's magnetic field is not equally distributed across the planet; it is slightly uneven and stronger in the north than the south.